When I taught my super sweet (not!) high school students, students would throw away their handouts/notes/graded work as they left my room– IN FRONT OF ME. Has this happened to you? 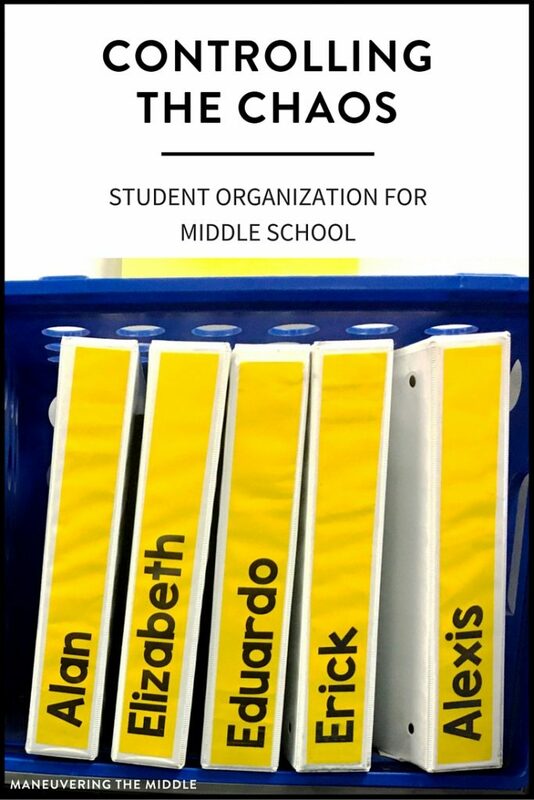 Now that I teach middle school, student organization is a topic I must address. 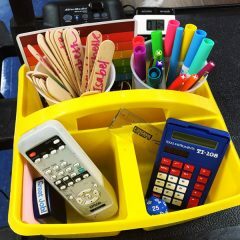 Eleven year old students should not be expected to have developed organization skills, especially since most adults I know do not. Today, I am sharing what student organization has worked for me. This is still a work in process much like everything I do in my classroom. My school does not have lockers. It also has limited storage, as in I only have bookshelves, no cabinets with doors. Composition Notebooks are cheap, and light enough to live in a students’ backpack. I required students to take it home everyday so they can refer to their notes for homework, and bring it to class everyday. Composition notebooks will stay relatively in tact for a whole school year; Spiral notebooks will not. Also, I like composition notebooks because if students need scratch paper, they have a ready supply. 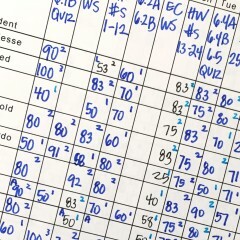 Instead of making copies, students can work out problems inside their notebooks instead. Word of caution, composition notebook can be ruined if you tear paper out of the binding. I use notebooks almost exclusively for notes, so there is enough paper for the entire school year. My sister used composition notebooks exclusively for several years. If you plan on doing this, ask students to bring two composition notebooks. Take one up and store it for the second semester. By then, they have seen better days and are full with other papers, foldables, etc. It is nice to have a fresh start at the semester. In my classroom, I use milk crates to store 110 1.5” binders. Each student has a binder that stays in class, and they only access with permission. The binder serves as a spot for all graded assignments. I do this because I do not want any of my tests out and circulating (though I doubt my students would be savvy enough to save the tests for anything malicious) and to have graded work on record. I did not used to do this in the past, and I would be at a parent meeting with nothing to explain why their child was failing. I would also show parents exemplar assignments, so the parents could start holding their child to that high standard on their homework. Binders also provide safe keeping if you have to keep a record of students in special education modifications/accommodations. 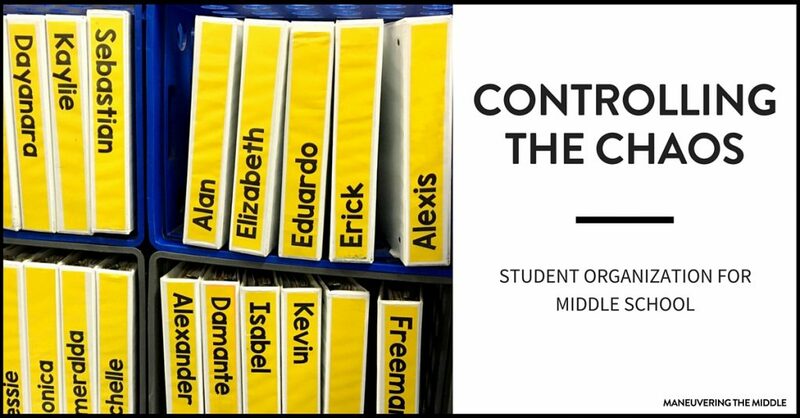 Once a week or after a test, I have student helpers hand out graded assignments (I hand out tests) and have table captains pick up their tables binders, students have an opportunity to look at their mistakes, make corrections (if there is time), and put the papers into the binders. The table captain takes them back to the milk crates. The whole process takes less than 10 minutes. Other teachers at my school use filing cabinets which is great, but takes longer because only so many people can be around the filing cabinet to help put their work into the proper folder. To make life easier, create a large name tag for the spine and color code them by class period. The recycling bin is my best friend. I do not keep anything that is not graded. Everything else goes into the recycling bin. We do not have the capacity to hold onto everything our students touch. I throw away exit tickets after I have looked through them and establish who I need to pull for a small group. Students complete lots of classwork that I am not capable of grading. I have the exit tickets that assess how students did, so I throw classwork away if I know I am not grading it. Same goes for homework. If I grade it, I keep it. If I don’t, into the recycling bin. 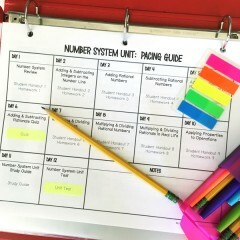 My first year of teaching I tried to keep everything. Why?! I spent hours filling and moving papers around and making piles and being insane. Recycle that clutter and marvel at how clean your classroom looks! 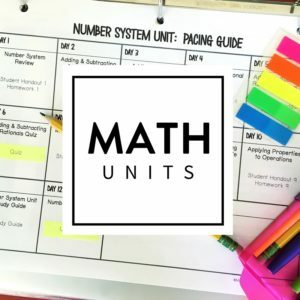 What student organization systems do you have in your math classroom? Do you have any students with backpacks that look like there was an explosion at the paper factory? I only had a couple this year thanks to collecting and recycling any papers that weren’t necessary for students to keep. Here’s to hoping that this student organization system will work for everyone next year! Thank you for this!. I’m going to be the first at a Catholic school doing this job and needed help getting started. 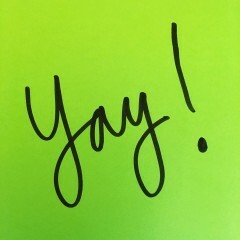 I am glad you found this helpful…I hope you have a great year! 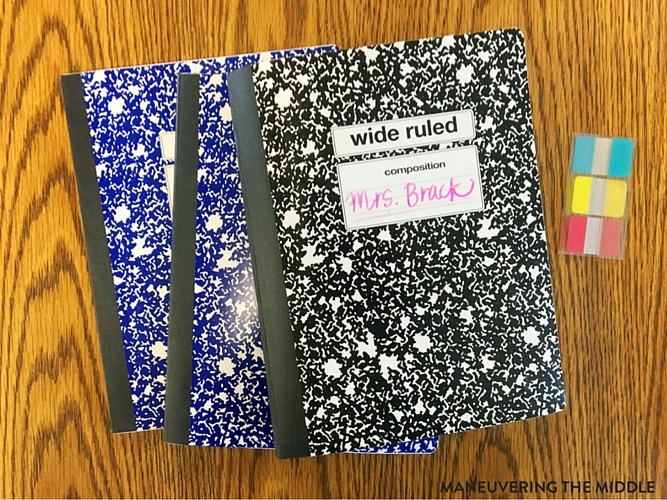 My school does a student led conference every quarter and these binders would be perfect to allow students to organize their own evidence. Thank you! 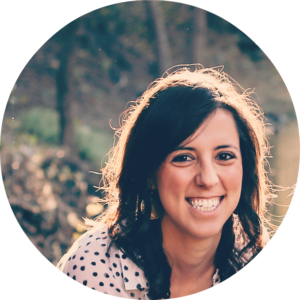 Two questions: Do you provide the binders for each student? Could you get away with 1″ binders? That is such a great idea! I love it! The school bought the binders and then I keep and recycle them from year to year. Since they aren’t going anywhere, they hold us really well. I think 1″ would work, you could always send home or file the work at semester if the binder became too full. Thanks for the feedback 🙂 I was also reading your classroom reveal post (super cute!) and was curious about your Mastery Tracker section of your bulletin board. Is there a post about how you track mastery on your blog? Or would it be a post you are planning to do in the future? 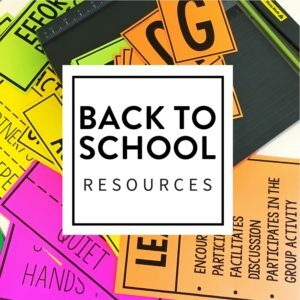 My school is starting the transition this year and I’d love your feedback. Great ideas! I love the student binders for graded work (especially for conferences) and your philosophy of “if I grade it, I keep it.” Last year was my 1st year of teaching and for some reason, I held on to EVERYTHING just to throw it all away at the end of the year! So much wasted space and time filing! I am so glad Audrey! Yes, something about being a teacher brings out the inner hoarder in us all…we need to just let it go. Ha! 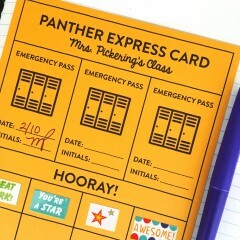 I love this idea and plan on using it next year. Do you have an editable file of your name tags for the spines of binders in your TPT store? I looked but couldn’t find it. I love your font! 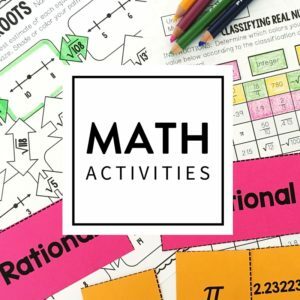 I have an 8th grader who has a math equivalent of a 4-5 grader. He is struggling in math (pre-algerbra). I’m going to create a resource binder for him to use during tests and to take with him to high school. 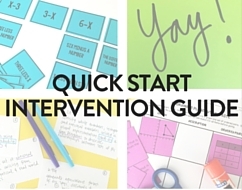 Many charts I see on TPT and Pinterest are, well, too fluffy for a pending high school student. What do you suggest. Today is a snow day, again, and I’m going to devote my time to at least creating an outline. 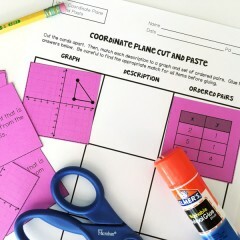 I want to include vocabulary, reference charts, and step-by-step instructions for working on math problems.